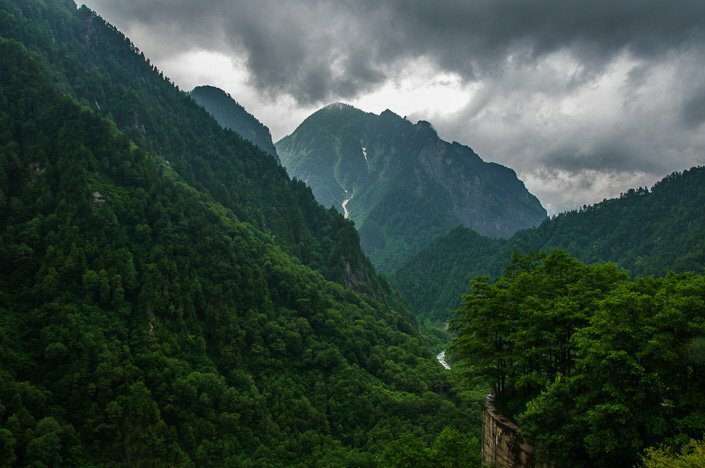 The Japan Alps is a fairly big area inland of mid-Japan, with a few big cities such as Nagano (which by the way had the Winter Olympics in 1998) and Toyama. This area is packed with high mountain and awesome peaks and wilderness. It surely is a hiker`s delight! 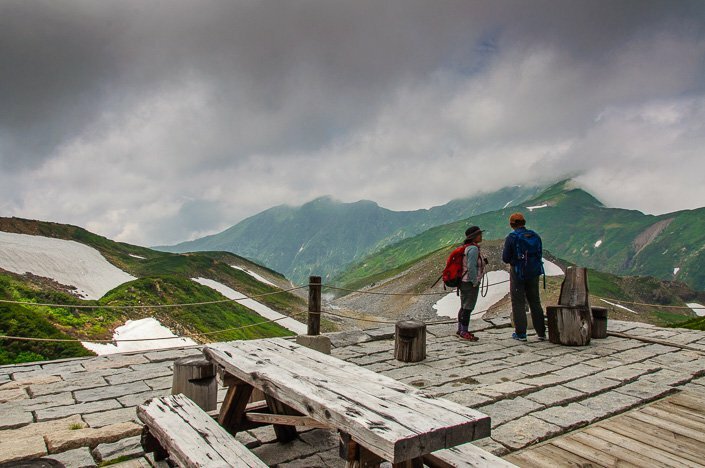 We decided to travel/ hike along the spectacular Tateyama Kurobe Alpine Route. 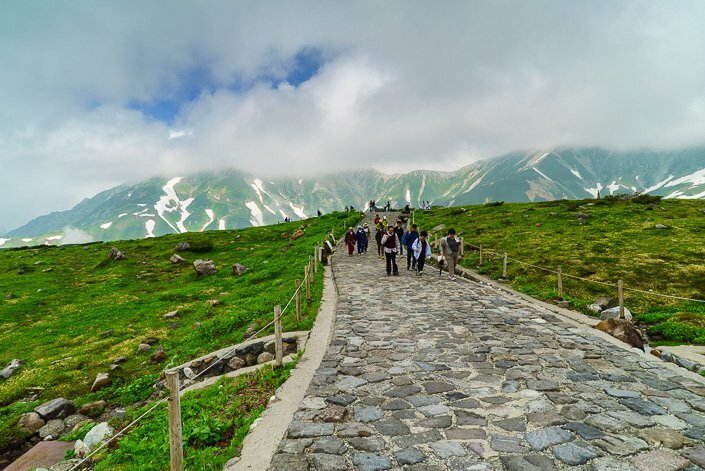 This is a popular 90 km route, which is open from April to November and connects Shinano-Omachi with Tateyama. 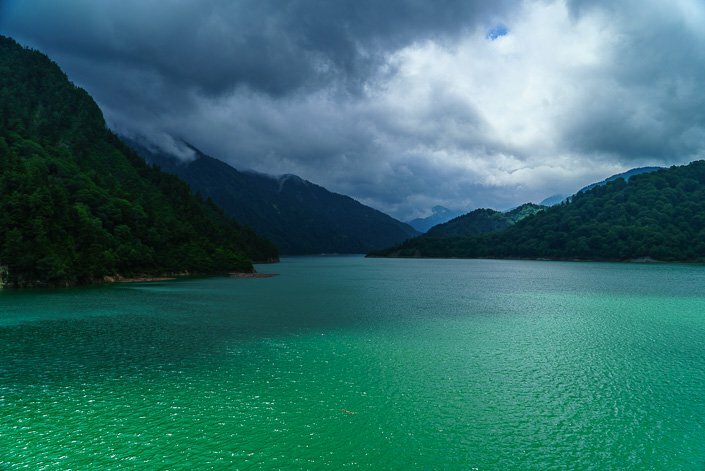 It is an incredible journey through sacred mountains, wilderness, forests, impressive tunnels, high peaks, hot springs, and Japan`s highest dam. Plus a ton of fresh mountain air! Ah, it was so refreshing after weeks in big cities like Bangkok, Kuala Lumpur, and Tokyo! From Tokyo, we took the train to Matsumoto city (a 4-hour train trip). We bought the Japan Railway Pass online before entering Japan, and I highly recommend that you do the same. It will save you a lot of money. Matsumoto is a relatively small valley city in Japan standard (243 000 inhabitants) embraced by seven tall peaks all above 3000 m as well as three smaller ones. The valley where the city is situated is no more than 20 km across at its widest. We only stayed here one night, on our way to our Japanese Alpine Route adventure. We stayed at the Richmond Hotel in Matsumoto, which has a convenient and central location within walking distance from Matsumoto train station. The rooms are not the biggest, but most hotels in Japan have small rooms. In peak season, from August to October, you should book transport and accommodation in advance. 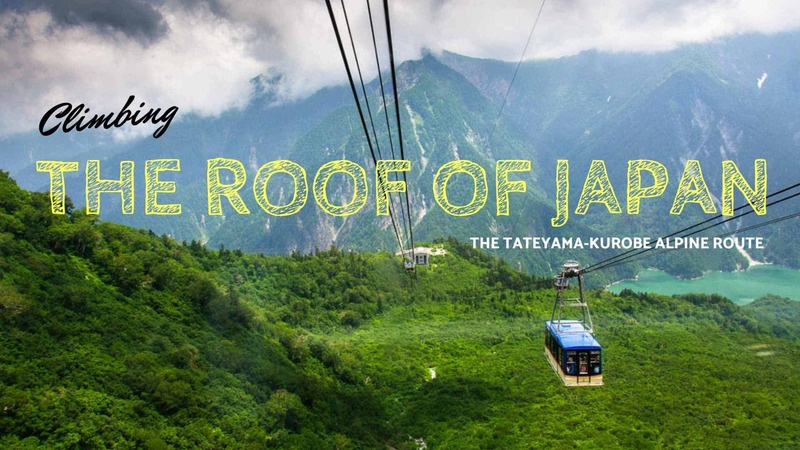 You can buy tickets for the Tateyama Kurobe Alpine Route online here. We woke up at the crack of dawn at Richmond Hotel in Matsumoto, checked out of the hotel, and took the 8 a.m. train to Shinano-Omachi station (a one-hour train trip), where the Alpine Route starts. The whole route is divided into nine sections, each with different transport modes and walking distances. You can do this route in either direction, but we did it from the east from Matsumoto/Shinano-omachi to Toyama/Kanazawa. 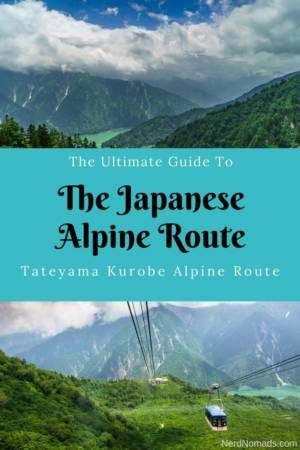 Most people do it one-way only so this guide describes how to do the Tateyama Kurobe Alpine Route from Matsumoto to Toyama/Kanazawa, but you can also do it in reverse. Or you can only do half this trip, and for instance, do a return trip to Murodo which is the route´s highest point. The full Alpine Route journey. We took it from Ogizawa to Tateyama. When we arrived at the Shinano-Omachi Station, we went over to the “Baggage Delivery Service” office to drop off our backpacks. It`s on your right when you get out of the train station. We paid 1540 JPY (15 us$) for one bag to get it delivered directly to the Toyama train station (where the Alpine Route ends). It might be a little expensive, but it is really a must-do, as traveling with big backpacks on the Alpine Route would be really uncomfortable. 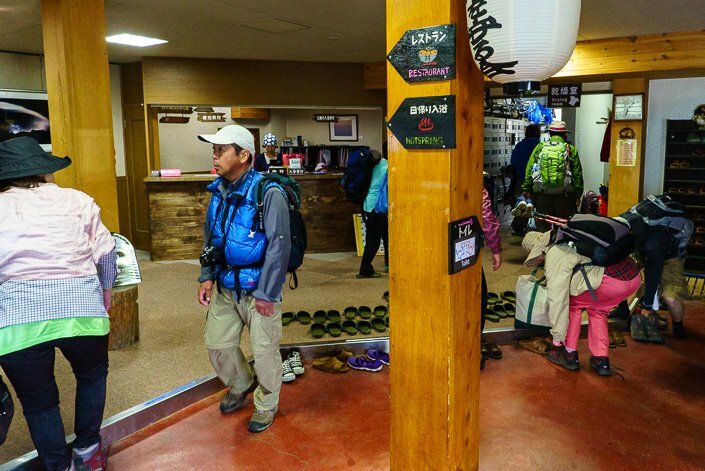 The Alpine Route Baggage Office has open 8:00 a.m. to 11:10 a.m for drop-off. After we got rid of our bags, we bought a bus ticket to Ogizawa (just in front of the train station) and jumped on the bus. 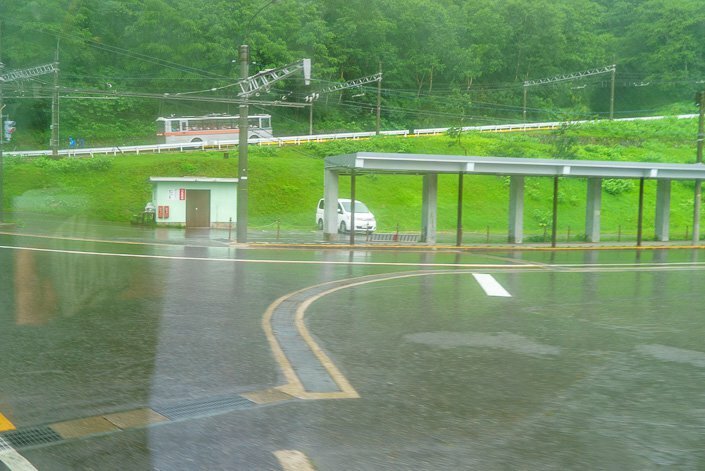 The bus ride from Shinano-Omachi to Ogizawa took 40 minutes, and during that time the weather, unfortunately, turned really bad! It was raining cats and dogs! 🙁 Ah, how unlucky! Our mood sank and we started to think that we had not picked the right day for our Alpine Route adventure and regretted the whole thing. We actually even though about skipping it, but we had already handed in our luggage and paid for the bus ride, so there was really no turning back at this point. Ogizawa trolley-bus station. 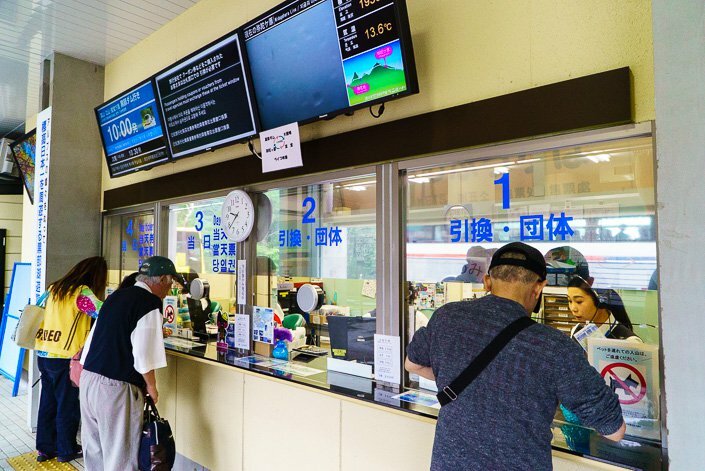 The weather situation was not looking good…..
We headed over to the ticket office and bought the Alpine Route tickets, which was 9490 JPY (91 us$) per person to Toyama train station. Buying tickets for the Alpine Route. We made the 10:00 trolley-bus departure. 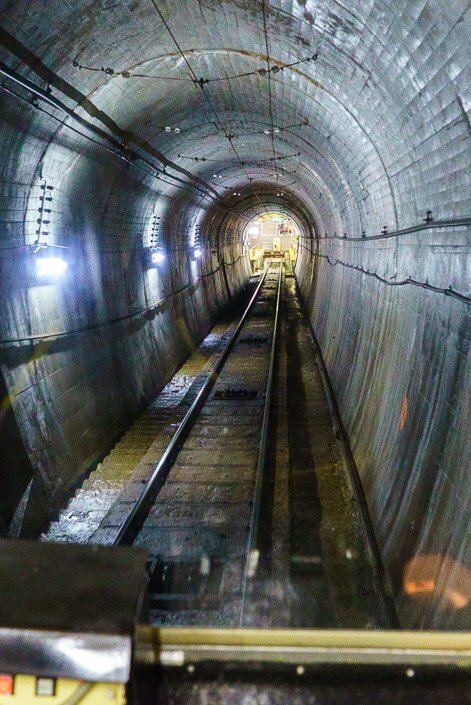 The trolley-bus ride was pretty cool and took us through a 5,8 km tunnel up to the giant Kurobe-dam. The trolley-bus ride took 16 minutes. 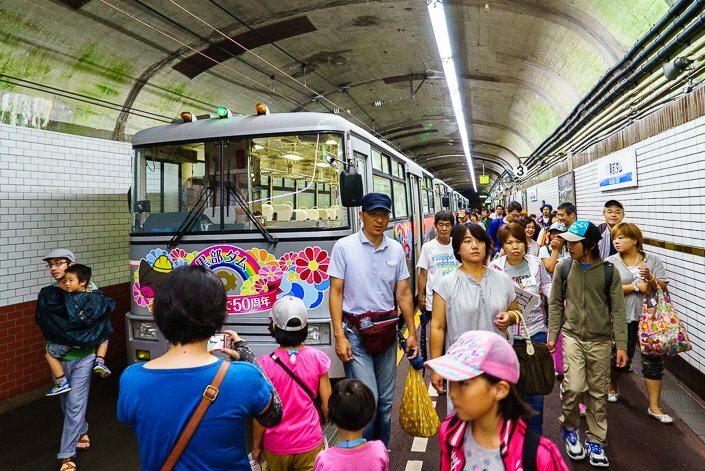 Lots of people on the 10:00 AM trolley-bus through the 5,8 km long tunnel. Mostly Japanese tourists. 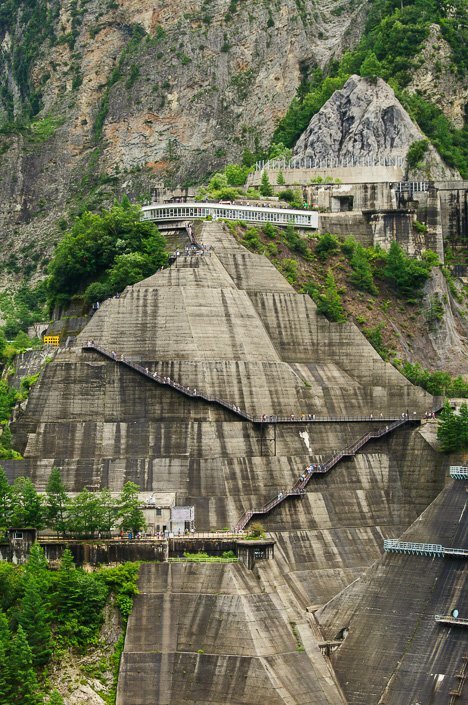 The Kurobe Dam is Japan`s highest dam (186 m) and a pretty impressive sight! From the trolley-bus station, we climbed the 220 steps up to the Observation Desk. 10 tons of water pours out from the dam every second! 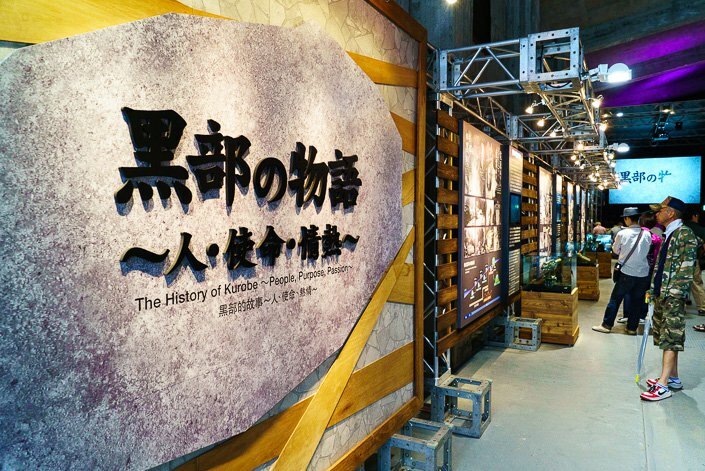 After World War II, Japan had a sudden economic boom and faced a severe energy shortage. 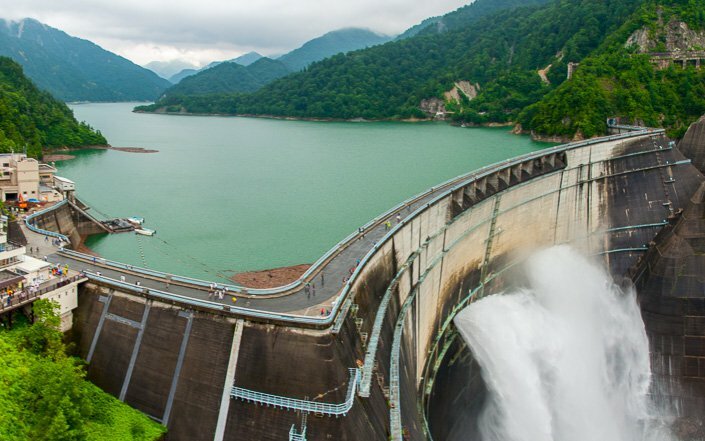 To generate additional electricity the government invested in hydroelectric power and decided to build the Kurobe Dam. Unbelievably 10 million people worked on the dam during its construction! The hardest part was apparently digging the tunnel that the Kanden Tunnel Trolleybus now runs through. 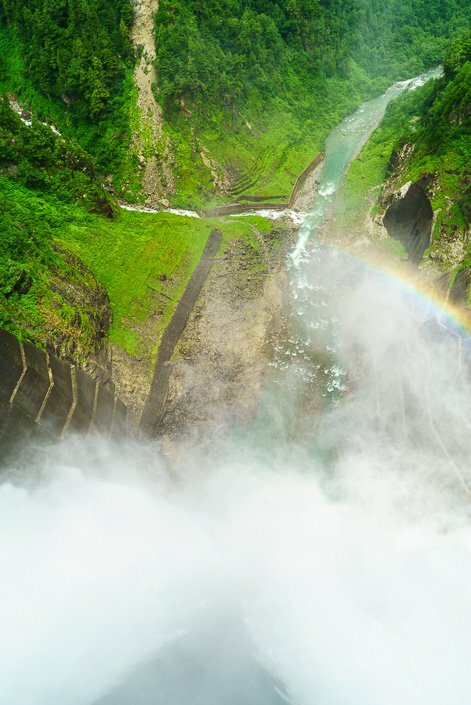 After the construction of the dam, a movie entitled “Sun over Kurobe” was released starring famous Japanese actors. 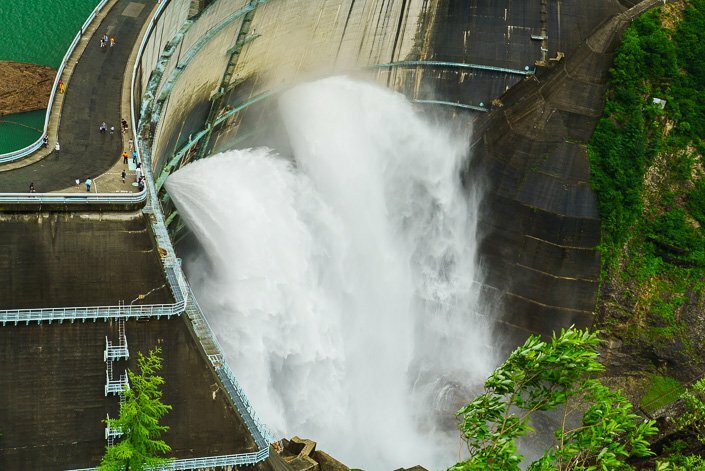 This film gave the Kurobe Dam a legendary status similar to the Hoover Dam in the USA. When standing on the deck close to the dam, one could really feel and hear the water pressure. Inside the mountain, there is also a museum, where you can read and see a movie from when the dam was built. Unfortunately, not much of it is in English. Here is also a monument over the 171 workers who sadly lost their lives during the construction of the dam. 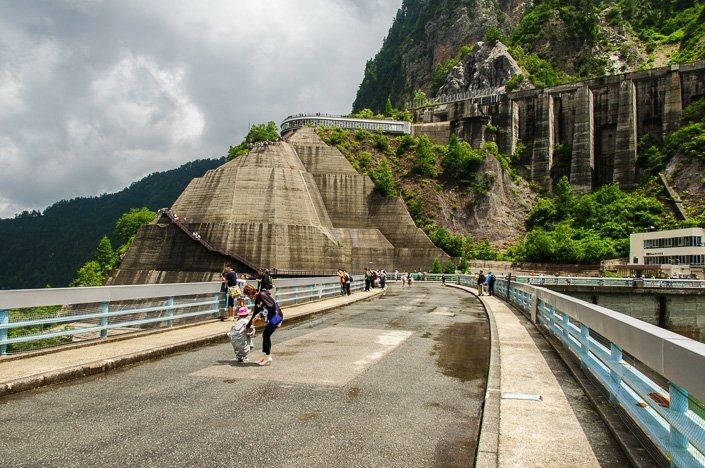 After we had admired the view from the Observation Deck and been to the museum, we walked on the pathway across the dam (took about 15 minutes) to the Kurobeko cable car station on the other side of the dam. Walking across the dam to the Kurobeko Station. The walk takes about 15 minutes. Here we jumped on the underground cable car, which took us to Kurobedaira (5 minutes). 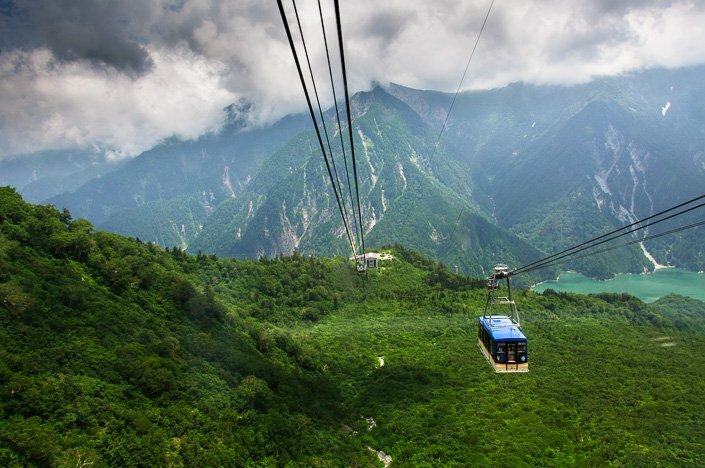 When we stepped out of the cable car, we were hit by the cool, fresh and clear mountain air. It was so refreshing to breathe in the air and take in the breathtaking mountain scenery all around us. Me posing at the Kurobedaira sign, 1828 m above sea level. After taking in the mountain view, we took the Tateyama Ropeway, which brought us 488 m further up to Daikanbo. The Ropeway took 7 minutes, and the views were spectacular! 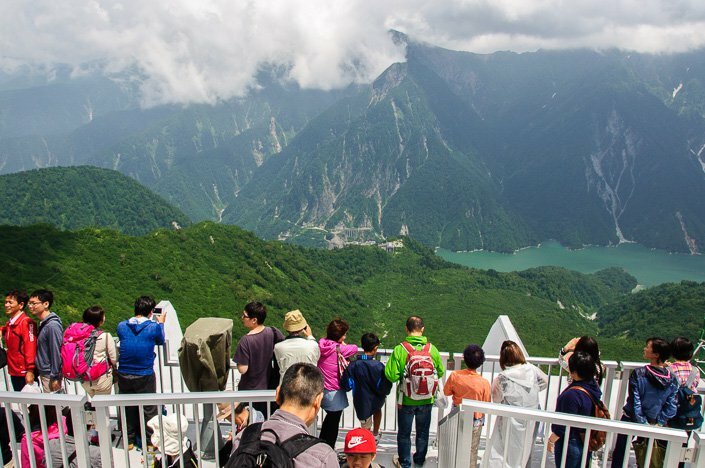 The ropeway ride takes about 7 minutes and the views are spectacular! From Daikanbo the views were even better than at Kurobe dam. The view over the valley below with its small greenish lake was absolutely stunning! After a short break and a sit-down at the Daikanbo observation deck, taking in the sun and the views, we boarded another trolley bus. This time it was a tunneling one through Mt Tateyama for 3,7 km to Murodo. This trolleybus took 10 minutes. The trolley bus taking us 3,7 km through the Mt Tateyama tunnel to Murodo (a 10 min ride). And “wosh“, after 10 minutes on the trolley bus we were all of a sudden on the other side of the 3015 m high mountain Tateyama. 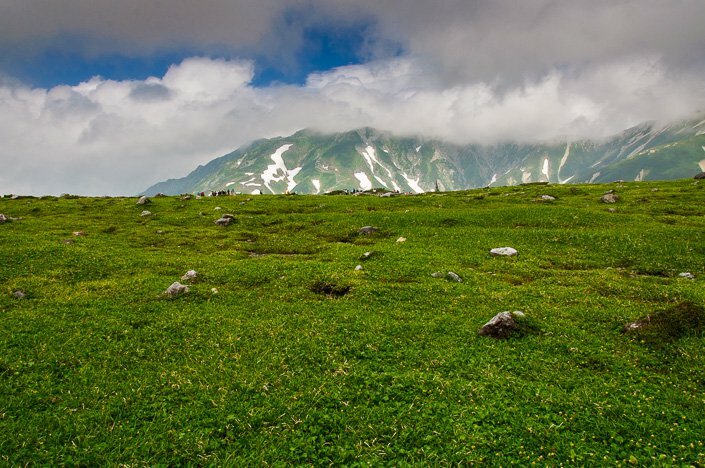 Murodo is the highest point on the Alpine Route unless you want to climb the Mt Tateyama by foot. 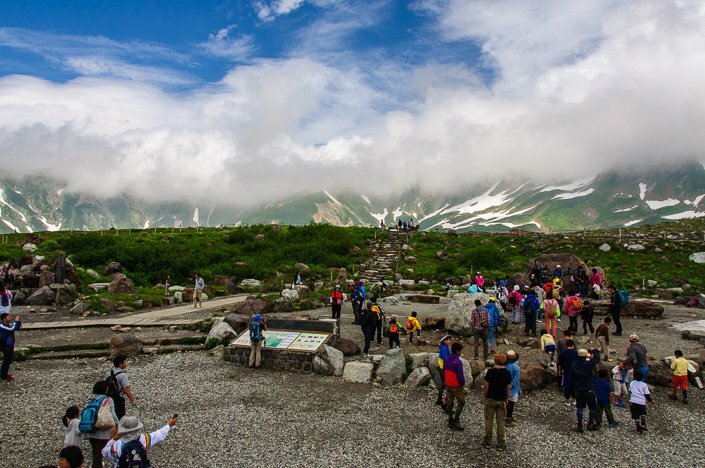 In the 17th-19th centuries, Mt Tateyama became one of Japan’s three holy mountains along with Mt. Fuji and Mt. Hakusan and became very popular among pilgrims. Mt. Tateyama overlooking the valley of hell came to represent heaven. People were climbing Mt. Tateyama hoping that their souls would go to heaven after their death. Unfortunately, due to the fog and cloudy weather, we did not even see Mt Tateyama. From Murodo you can take several short and long hikes to the neighboring mountains and mountain huts, cafes, and onsens (hot springs). An overview of some of the hikes one can take in the Murodo area. Here you really feel that you are in nature and in the mountains. We decided to do a short hike to Mikurigaike Pond. Me drinking fresh and cold mountain water. Delicious! Even though we were walking at 2450 m altitude, it was very green and lush. 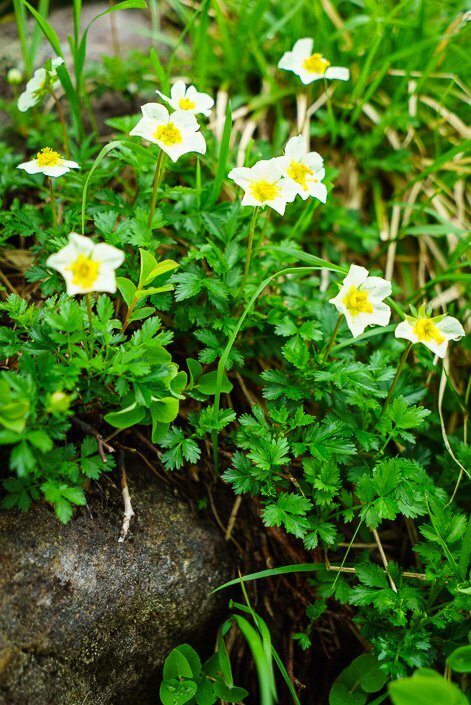 Even at 2450 m, we found some beautiful mountain flowers. In comparison, the highest mountain back home in Norway, actually the highest mountain in Scandinavia, is Galdhøpiggen at 2469 m. We have climbed it, and it is only rocks and snow and no grass, flowers or anything. So it is a bit strange but very nice to be at this latitude with so much vegetation around. The weather was not perfect, but at least it was not raining. We were not the only one hiking to Mikurigaike Pond. Finally, we reached the Mikurigaike Pound. 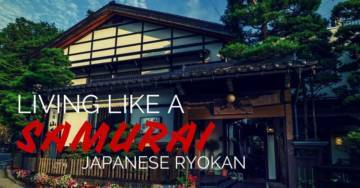 At Mukurigaike Inn there is a restaurant/ cafe, and even Japans highest onsen (hot spring)! 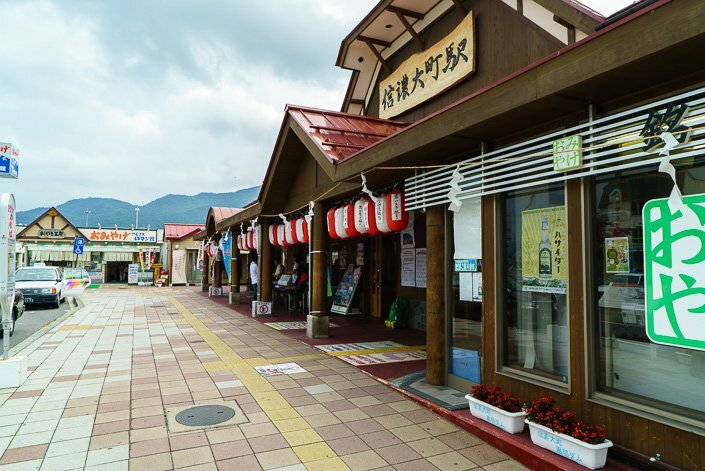 Mikurigaike Inn has Japans highest onsen (hot spring)! From Mikurigaike Inn there are several hiking options, like the Jigokudani Onsen (Hell Valley Hot Springs) which is about 20 minutes hike. But this is not a bathing onsen, as the water is boiling hot! You can also hike to the east, for about two hours, to the peak Oyama (3003 m), which apparently has a very steep final section. 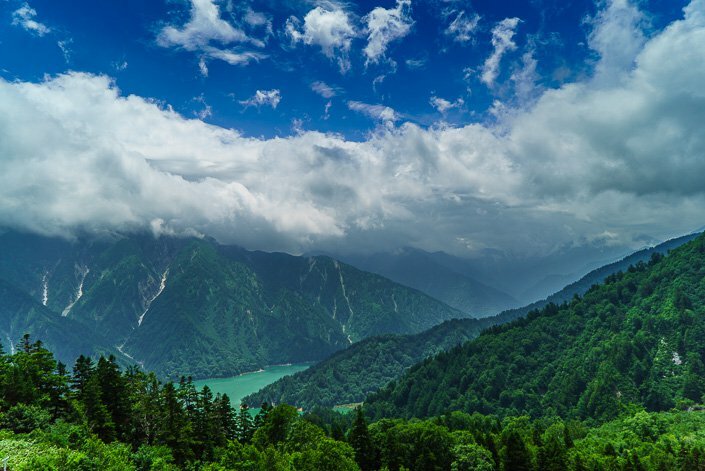 It is also possible to hike for several days/ a week further south to Kamikochi. This area is packed with inns and mountain huts where it is possible to spend the night and have something to eat. On our way back, with the Mikurigaike Inn in the background. 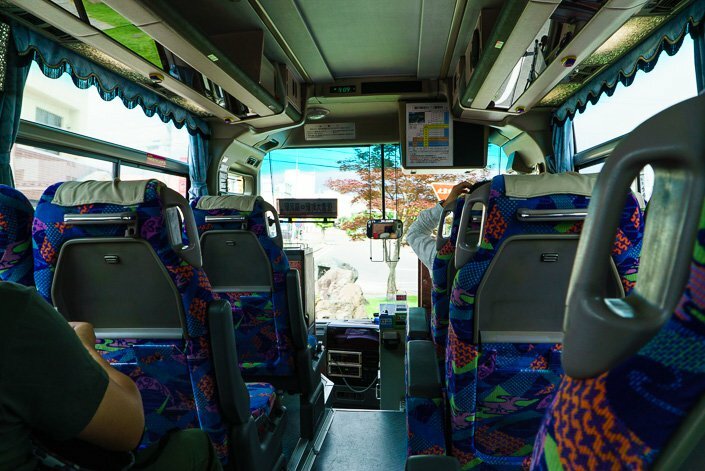 After our hike to Mikurigaike Pond, we continued the trek down with a bus to Bijodaira. The bus ride took about 50 minutes, through green and lush forest with huge cedar trees. It is possible to break the trip from Murodo to Bijodaira, and stop for walks along the way, but we did unfortunately not have the time. Taking the bus down from Murodo to Bijodaira. Beautiful scenery from the bus window. 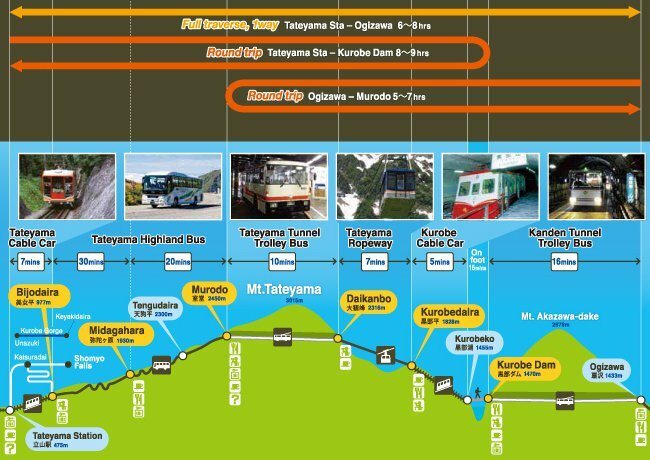 The last stage of the Alpine Route is with the cable car down from Bijodaira to Tateyama, which takes 7 minutes. The last stage of the Alpine Route, the cable car down to Tateyama. We reached Toyama at approximately 5 p.m. We started out in Matsumoto at around 8 a.m, so all together the whole Alpine Route took us nine hours (from Matsumoto to Toyama). When we handed in our luggage at Shinano-Omachi train station, they told us we had to pick up our bags by 6 p.m., so be aware of that if you want to do this trip. From Toyama, we took the train to Kanazawa (35 min) where we had booked a room at Hotel Trusty. The hotel was fantastic! Very good location in the middle of everything, and brand new. Will highly recommend it! It was the nicest hotel we stayed at in Japan. The Alpine Route Japan was a very nice trip! We really enjoyed it, and were pleased that the weather turned out OK in the end. It was lovely to breathe in some fresh mountain air again and get to see some breathtaking mountain scenery. 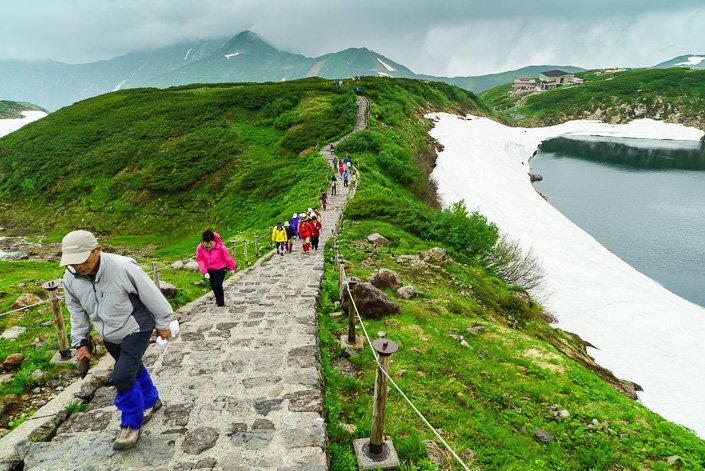 We highly recommend the Tateyama Kurobe Alpine Route! 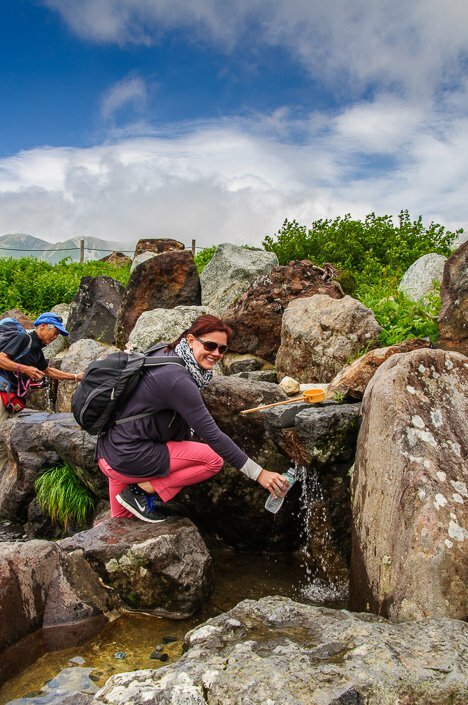 If you want to join book a guided mountain hiking tour, like to Mt Tateyama or a snowshoe tour, then the Tateco – Tateyama Eco Tours is a great choice and has a lot of tours to choose from. This train is NOT included in the Alpine Route ticket, so you have to buy this train ticket in addition. 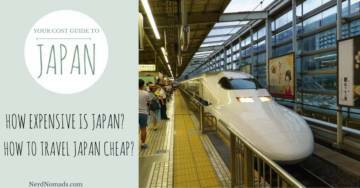 I recommend that you buy a Japan Rail Pass. This pass is only for tourists, however, and you have to buy this outside of Japan before you go there. We bought the 14 days pass (441 us$) and saved a lot of money compared to buying single tickets on the train. You can order a JR Pass online from official JR Pass agents such as JRailPass.com. 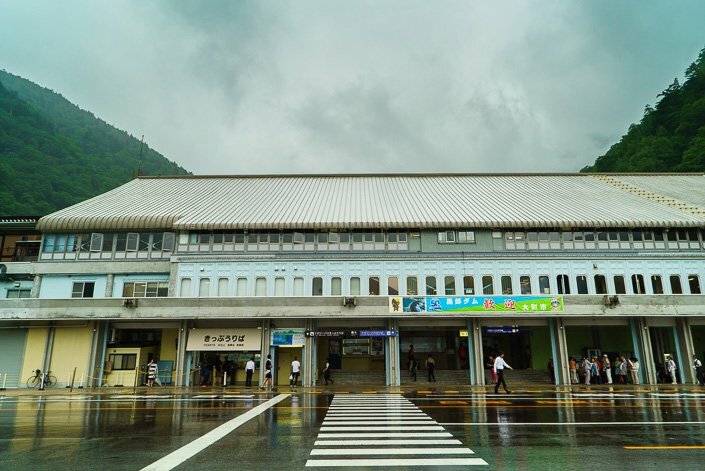 Shinano-Omachi Train Station is where the baggage delivery service is, so you hand in your luggage here. 1540 JPY = 15 us$ per bag to get it delivered to Toyama Train Station. This is NOT included in the Alpine Route ticket. This bus ticket cost 1360 JPY = 13 us$ per person. At Kurobe Dam we spent some time, maybe about 1,5 hour. We walked around, took pictures, looked at the small museum and so on. Can probably spend less time there, or more time. There is also a small ferry cruise on the dam (takes 2,5 hours), but we did not take this. Don`t know how much that cost. Did not spend much time at Kurobedaira, but had lunch at a cafe there (maybe 30 min). Did not spend much time at Daikanbo. It is not a big area to walk on there, just a platform/viewpoint. This is the highest point of the route. Now you are really in the mountains and can go for long or short walks. We spent maybe 1,5 hours here altogether. 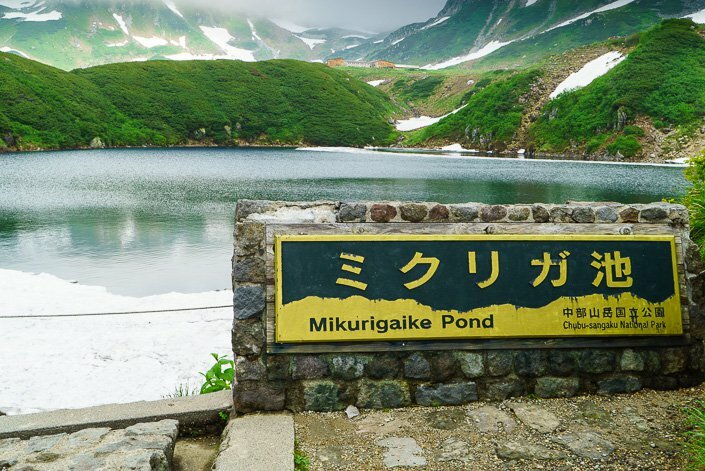 We hiked the Mukurigaike Pond Loop (1 hour). But we did not take bath in the Onsen at Mukurigaike Inn. From Murodo you can also climb Mt. Tateyama (takes about 4 hours). Spent no time in Bijodaira, only waited for the cable car. But you can do walks from Bijodaira too, or jump off the bus on its way from Murodo to Bijodaira to do walks along the way. We did not do this. Spent no time in Tateyama, only waited for the train. 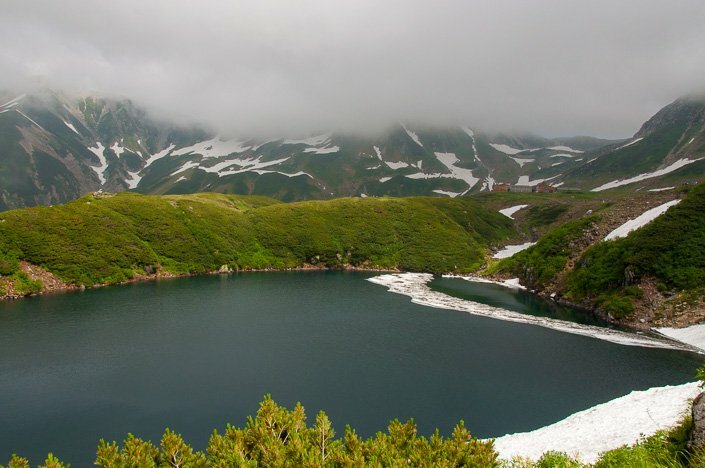 You can choose to end your Alpine Route journey here if you want to sleep in Tateyama. But there is not much to see in Tateyama. Toyama is the end of the Alpine Route, and the end of the Alpine Route ticket. Here we picked up our bags. We chose to go to Kanazawa straight away, and not sleep in Toyama as we had heard that Kanazawa is a nicer city with much more to see. But you can of course sleep in Toyama. It is a quite big city. We reached Kanazawa around 6 pm. 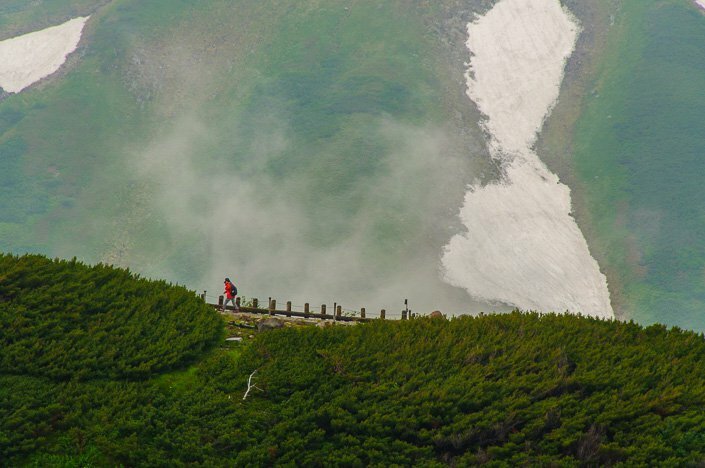 The Tateyama Kurobe Alpine Route is closed during winter, from 1st of December to mid-April. April/ May: When the route opens in mid-April, you can see huge and impressive 18-meter tall snow/ice walls on each side of the road. This melts during April, May, and June and is more or less completely gone in July. 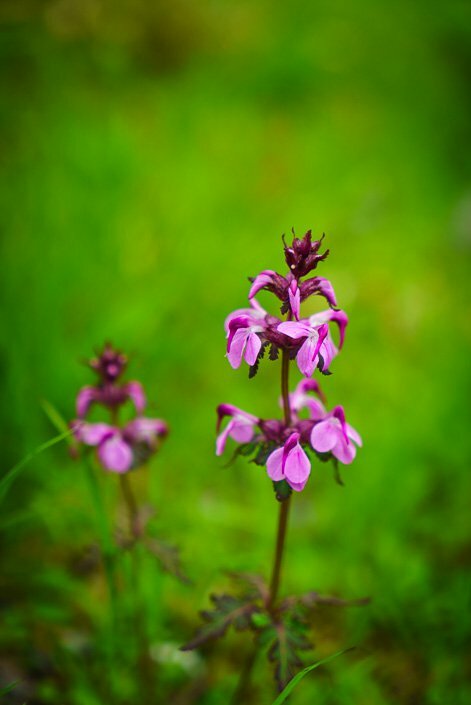 June: Spring is on in the mountains with beautiful spring flowers, birds singing, and everything gets green. Even in late June, the snow walls are still over 10 meters high. There are fewer visitors in June, so you can enjoy a more relaxing experience. July/ August: Summer is the best season for hiking, sightseeing, climbing, and walking in the mountains as the temperatures are warm. There is still some snow at the highest point of the route (Murodo) that you can play around with. September/ October/ November: The autumn is on in September, turning the nature into stunning colors of yellow, orange, and red. The leaves take six weeks to change color and it begins at the end of September. The autumn colors last until the beginning of November. The change begins at higher areas and moves down the mountain. During a trip, you can see all kinds of colors and white snow covered mountain peaks. Stunning! 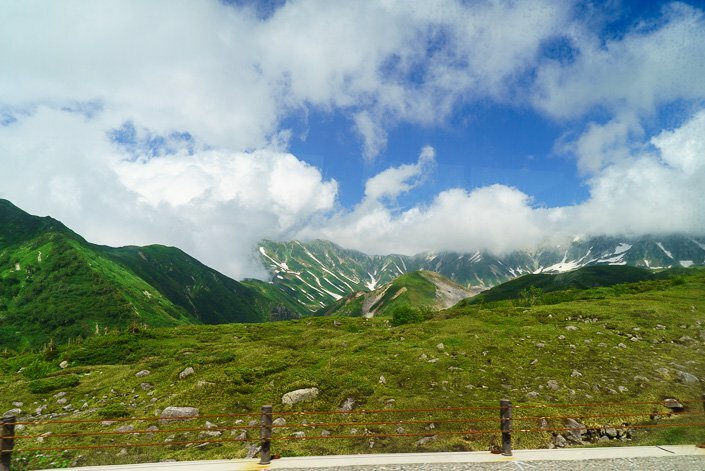 The full one-way Tatekyama Kurobe Alpine Route takes at least six to seven hours, depending on the wait for transport. We used nine hours altogether from Matsumoto to Kanazawa. Transport: 4,5 hours from Matsumoto to Toyama. 35 min more to Kanazawa. We spent the exact same amount of time on the transport and on walking/ waiting for transport. We dropped off our luggage at the Baggage Delivery Service counter at the Shinano-Omachi Station, also called “Alps Roman Kan” (located just next to JR Shinano Omachi Station). Drop off time is between 08:00 am. and 11:10 am. and no reservation is needed. You are given a baggage forwarding tag that you fill out and attach to your luggage and it will be delivered to your end stop, for instance, Toyama train station where the alpine route ends. Your bags can then be reclaimed at Toyama train station between 15:30 and 18:00. The cost per bag is 1300 JPY = 12 us$ from Shinano Omachi train station to Toyama train station. 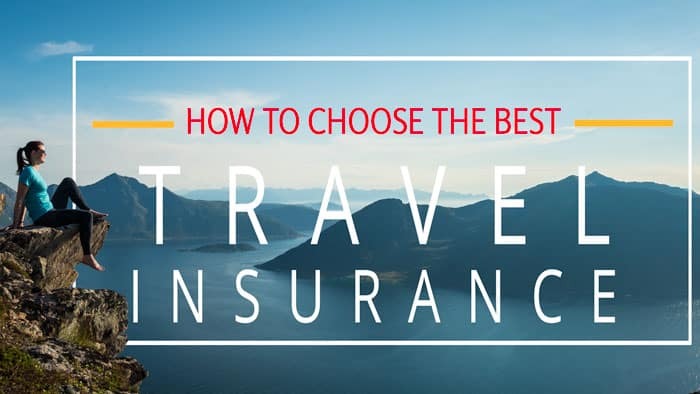 You can also have your luggage shipped directly from your hotel and to the next hotel that you plan on staying at. Read more about that here. 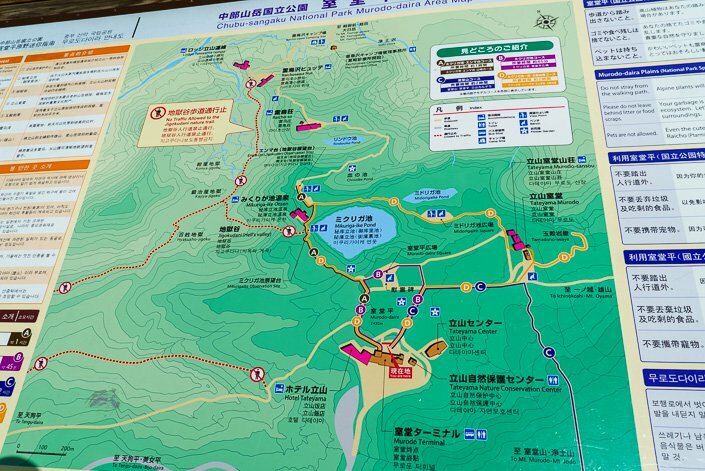 We did this alpine route in July and did just buy tickets at the ticket office at Shinano-Omachi train station. 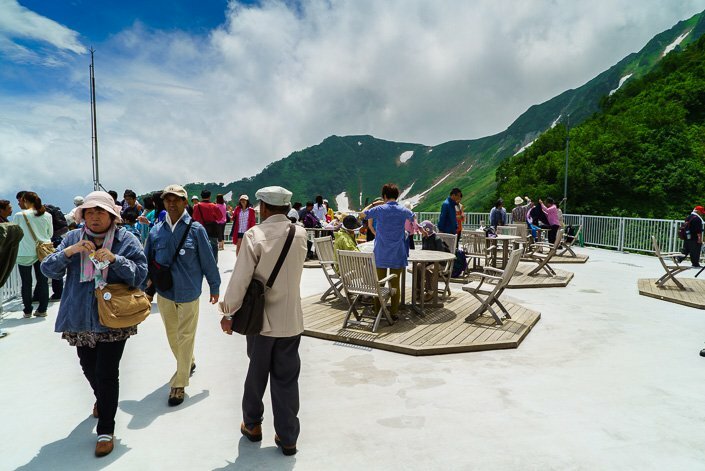 But you can easily buy tickets online and make reservations at the official webpage of Tateyama Kurobe Alpine Route. I recommend that you buy an online ticket if you plan on doing this route during the peak season, August to October. Wow! What beautiful looking territory. Never even knew that Japan had their own version of the Alps. The trip looks fantastic. Thanks guys for continuing to share your adventures, much appreciated! Thanks James! It really was a great mountain trip! Incredibly green and lush, even above 2000 m. Back home in Norway nothing grows at this heights, only grey rocks. If I ever make it to Japan, I would love to do this hike! The views look incredible! Definitely appears that all that jumping on and off various forms of transportation was worth it. I loved learning about the dam. Now I want to watch that movie! We also want to watch the film. Will try to find it, but it is probably only in Japanese though. The dam was such a gigantic building project, in very harsh conditions. So the film is probably pretty dramatic. Wow! What a spectacular adventure. 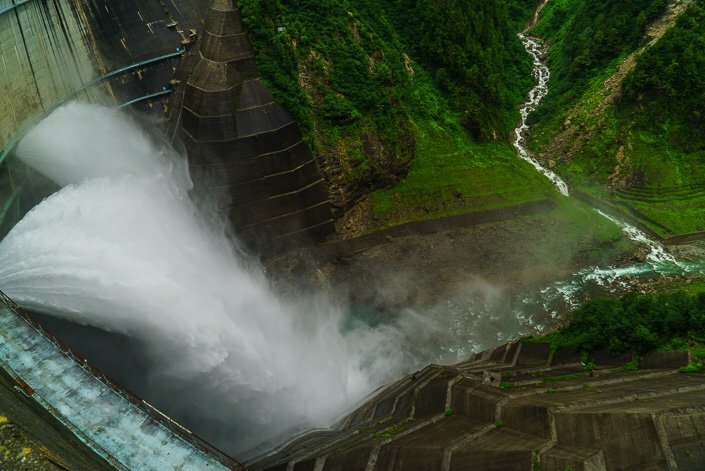 The water color at the Kurobe Dam and the rapid water would be worth the trip, even without the rest of the amazing scenes. How wonderful to be somewhere so clean you can drink the natural flowing water. The water in that small river was really cold and refreshing. Back home in Norway the water is also so clean that we can drink from all the rivers and lakes, as well as the tap. Very nice to be able to do that again. Nothing beats fresh clean flowing water from the rivers! Hi. Looks like a great day out in the mountains. How much of the day did you spend walking and how much was transportation? And what was the final costs for the hike? Did you take a bath in the onseen? If so, how was it? Hi. It looks like an amazing hike. We are going to japan in april, and this is now something we will have to consider. When did you go? 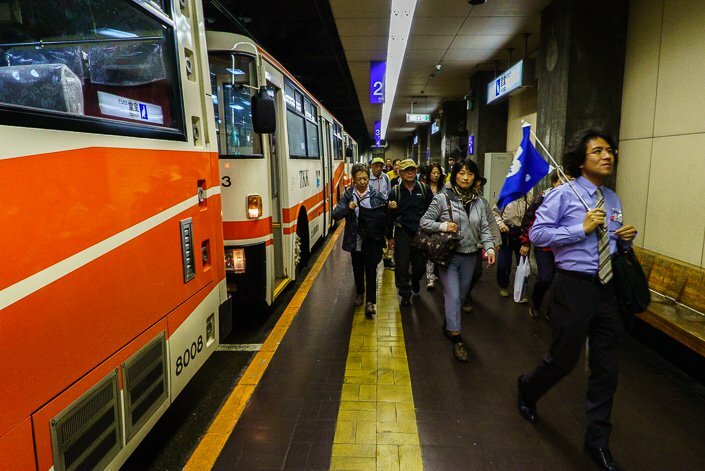 How much of the time were you walking compared to time spent on transport? We did the Alpine Route in the end of July. As you can see in this post it was raining when we started out from Ogizawa, but it got better and better and in the end we even got sun. 🙂 It was a bit cold at the top even in July, so I bet it is even colder in April so bring warm clothes and good shoes. It might also be some snow up in there in April. Altogether we did this trip in 9 hours (8 am – 5 pm), but it all depends on how much time you want to spend at each place of this trip, and how much you want to walk around on each place and at the top (Murodo). When you get to the top at Murodo, you can choose to go on a long hike for hours or even days and weeks around the mountains in the area (there are several mountain huts where you can sleep and eat). Or you can choose just a short walk like we did. We did the Mikurigaike Pond Loop hike (took about 1 hour altogether). At the Mikurigaike Inn you can take a bath in the Onsen, but we did not do it (did not have the time, and it was a lot of people and very crowded). We took Onsen several other places in Japan during our trip. Onsen was great, you definitely should try it somewhere in Japan! So you can easily spend more time at the top in Murodo than we did if you want. But you can do this trip in less than 9 hours too, maybe as short as 6 hour, if you don`t want to walk around. The baggage pickup office in Toyama close close at 6 pm., so you have to time it so you get to Toyama by then. Have updated this article with the info you asked about, like how much time did we spend on the transportation and walking, how much money did we spend and so on. It is under “Conclusion/ Summary”. Have a great trip to Japan in April! I am sure you will love it there! It is such a great country with amazing food! Read more about what food you should try here: http://nerdnomads.com/japanese-food. Maria, What fun! I love the greens, and I’ll bet it was a nice respite from the Tokyo heat and humidity. I love all the different types of transportation you had to take as well. Yeah, it was so refreshing to get up in the mountains after spending a week in Tokyo! Felt like we could breathe again! 🙂 All the different transportation was half the fun of the trip! The tunnels were quite impressive. Sounds like an amazing trip! I didn’t even know there was such thing as the Japan Alps. I can’t believe how cute the trolleybus is, and what amazing views from the top of the dam! A great day out. 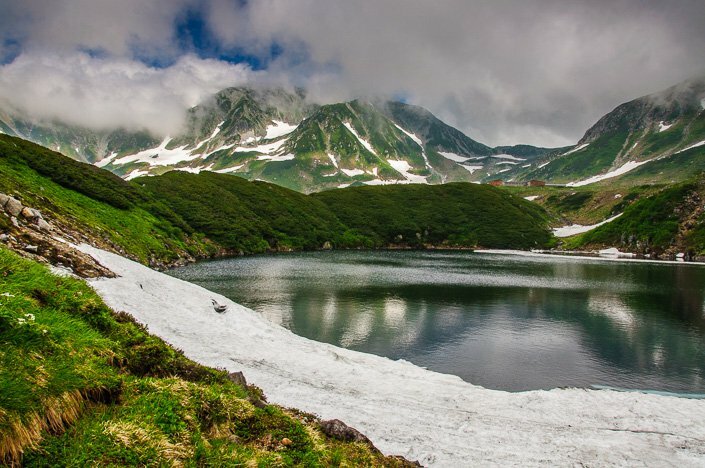 The Japan Alps is great both summer and winter! The skiing is supposed to be excellent with lots of powder snow and there are many skiing resorts in the area. I really want to go back in the winter season, as I love skiing. 🙂 It sure was a great day out Margherita, with tons of lovely fresh air! What an awesome experience this must have been! I have never been to Japan but you have me sold after reading this post. Never knew anything about the Japanese Alps but honestly they look comparable to the Alps we all know in Europe! We have a lot of mountains where we live in Norway, but the Japan Alps really amazed us! I will absolutely say that they are comparable to the European Alps Chris, just as high and spectacular, with great skiing/ snowboarding during winter. What a wonderful way to see Japan, especially in contrast to all those big, congested cities you had been in. I’ve been to Mt. Fuji and Hakone, but I did not get a chance to see the route you took. It’s so beautiful, and that dam is mighty impressive. Good tip about paying attention to the time so that you can make it back to pick up your luggage. Lucky you that have been to Mt Fuji, Michele! We so wanted to go to Hakone and see Mt Fuji, but I got sick and the weather was really bad, so unfortunately we had to cancel it. So glad we got to do this trip in the Japan Alps though, it was definitely one of the highlights of our Japan trip! Wow! What a cool sounding day! I think I would definitely want to do something like this. Thanks for sharing! Thank you so much SJ! Hehe, yeah it was a lot of work writing this post. It became a bit too long in the end, but I really wanted it to be informative in case some of our readers want to do the same trip. We had a hard time figuring everything out and finding information before we did this journey. 🙂 Thanks for hosting the #SundayTraveler, it is such a great linkup! Oh wow. Now I want to go there. Hi, Its great to find this post. I will go with my friends in April but there is something that is bugging me the most. We bought the tickets the same day as the journey. We just went to the ticket office in the morning, and shortly after started the journey. But if you worry that it might get sold out, you should make a ticket reservation at their webpage: http://www.alpen-route.com/ticket/en/information.html. The full route opens again 16th of April. Thanks so much for this post. I plan to do this trip in a fortnight and you have answered every question I had. Much appreciated. I will now browse the rest of your site as it is sure to be equally helpful! So happy to hear that our post could be of help to you Wendy! Hope you will enjoy this alpine route as much as we did, have an awesome trip! Maria, thank you very much for your wonderful report. I’m a Japanese woman born, bred and live in Tokyo. Tateyama is one of my favorite places for photo shooting. You took exactly the same route as I took three years ago. 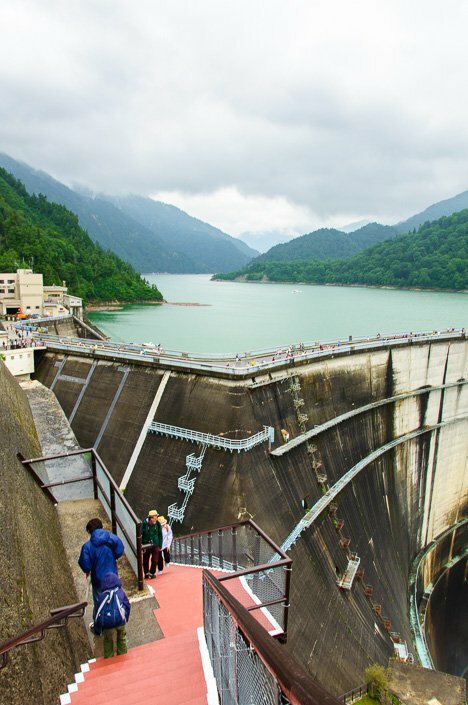 Kurobe dam is very impressive and so are the various kinds of transportation. The route is interesting if you don’t have to bring your camera equipment! However I’m determined to take the route from Toyama side next time, especially now the new bullet train operates from Tokyo. From Toyama you can take a bus that brings you straight up to Murodo. What a pity it was only a day trip. Even if you don’t go mountaineering, at least an overnight stay would have been an awesome experience. You will be able to see an ermine or two, or Japanese Ptarmigans, our special national ttreasure. Oh, and if you are lucky, stars reflected on Mikuriga Pond! Thank you so much for your nice and informative comment! We really want to come back and do this route again, and next time we will definitely bring our mountain gear from back home and do some more mountain climbing and stay overnight at the lovely cabins along the way. And of course, take Onsen. We fell in love with this area, so beautiful and peaceful with lovely fresh air. We do a lot of mountain walking and climbing back home in Norway, both summer and wintertime. We plan to visit Japan in wintertime, to go skiing in the Nagano area. Would love to see Japanese Ptarmigans! We have Willow Ptarmigans here in Norway, they are so beautiful and taste delicious too. 🙂 Stars reflecting on the Mikuriga Pond sounds amazing! Hi Maria, thanks for such an informative post and the pictures are stunning. I’m heading to Japan next week and was thinking of doing this tour, although I know the conditions will be different in November. 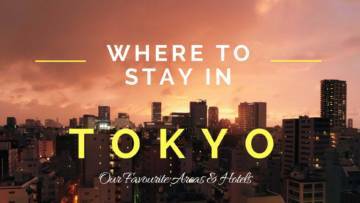 I’m keen on doing this from Tokyo and perhaps spending the night. Any recommendations? Thank you! Cheers, Nikita. 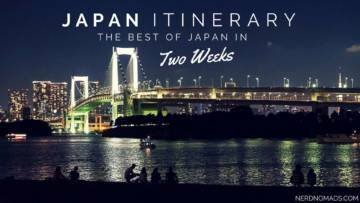 Lucky you who are heading to Japan next week, you will love it! We went from Tokyo to Matsumoto (about 4 hours with train), and stayed the night at Richmond Hotel. We started on the Tateyama-Kurobe Alpine Route early the next morning. After the Alpine Route, we went straight to Kanazawa City where we stayed at Hotel Trusty, a stunning hotel with perfect location! Have a great trip to Japan, and have fun doing the Alpine Route! I`m sure it is absolutely breathtaking in October, with the autumn colors and everything. Just bring some warm clothes as it might be cold up there this time of year. Hey Maria, Thanks for showing us this wonderful regions in Japan. I will be visiting Japan next month. Would you suggest me to visit Alps route in Nov (~20Nov) ? Will it be worthy? We took this route in the end of July, but I`m sure it will be spectacular also at wintertime in November with snow covered mountains. The temperature will drop below zero in November, so bring warm clothes, gloves and a hat, and waterproof winter boots. Be aware that the route closes 1st of December, so 30th of November is the last day it is open. Updated information about the route can be found here: http://www.alpen-route.com/en/. Have a great trip to Japan next month! I`m sure you will love it! 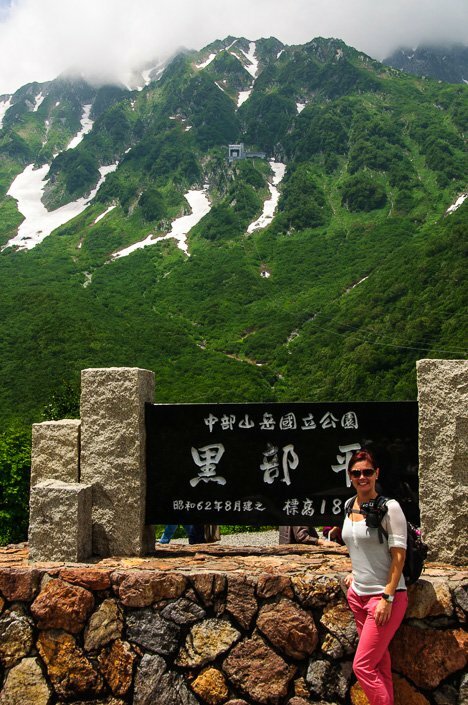 Maria, we have recently returned from a trip to Japan where we also took the opportunity to get some ‘mountain time’ by going on the Tateyama Kurobe Alipine Route in October. We stayed in the town of Shinano Omachi for two nights in a Ryoken near the train station. We planned to only do half the route by going to Murodo and return, and as a result of getting an early start (we caught the 7am bus) we were able to take our time. The weather was absolutely perfect and we had a great day out. Similar to you we caught the bus, then all of the different forms of transport up to Murodo – our kids absolutely loved it! We did the walk around Kurobe Dam which had a huge amount of water being released, and really enjoyed seeing the fall foliage colours when we took the ropeway. At Murodo we did the walk around the lake and got to see (and smell!) Hell Valley. It was fascinating to see such a volcanic area at the top of the mountain range! We were able to take our time to do the walk and then we started the long route back down the mountain, arriving back at our Ryokan by around 4pm, with enough time to enjoy the Ryokan hot baths before a lovely dinner. Overall it was a fantastic day out and I was really pleased that the weather was perfect for our big day and that we didn’t need to use our ‘back up day’ option. I think if you plan to visit that it is really important to be able to plan your itinerary so you only have a single day that you can possibly do the trip – just like in any mountain area flexibility is important. Also, be aware that there are several accommodation options up on the mountain (and lockers at the various stops) so if you want to take more time to explore you can do the trip across multiple days. Wow, you really had a great time doing the Alpine Route! 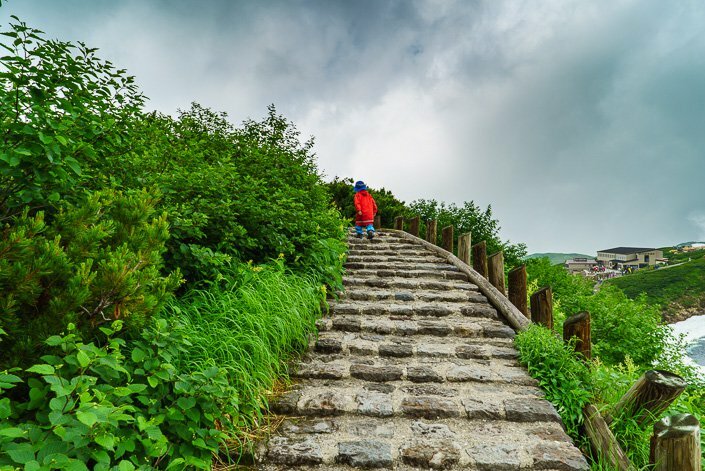 Great to hear that also kids like this kind of adventure and walks. Lucky you who got to see this area in fall colors. It was still summer when we visited, although the temperature was low up in the mountains. 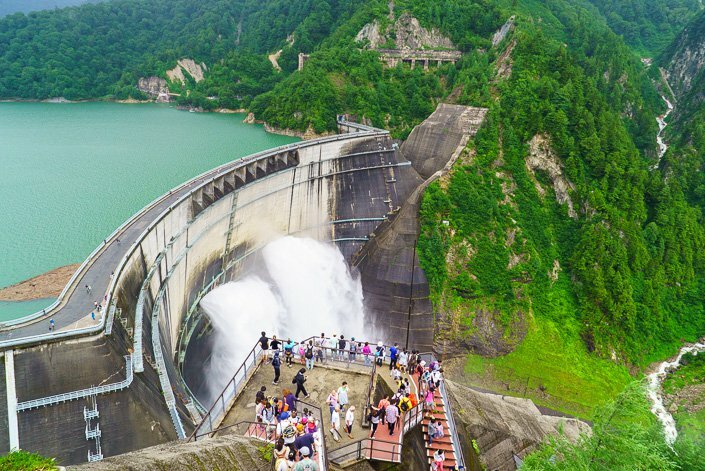 The Kurobe Dam is really impressive! All that water! We have pretty big dams here in Norway too, producing electricity, but nothing compared to this in size and location. We did not know that it was possible to spend the night up in the mountains. If we had we would definitely have stayed at one of the mountains hotels up there so that we could do more hikes. We wanted to take onsen/ hot springs at Mikurigaike Inn (Japans highest Onsen), but unfortunately, we did not have time as we had to catch the next transportation. We are planning to head back to this mountain area to do some more hiking over several days, maybe even a week. Thanks for commenting Anne, and giving additional travel tips regarding the Alpine Route! Really appreciate it! Maria, when I plan a trip I always have to deal with the dilemma in trying to fit in as much as possible without over doing it. These days I usually (but not always…) do a better job of planning a bit more time in each location so that we don’t need to rush around quite as much. I try to spend enough time researching the options to work out how much time I need to allow, and for this trip I was definitely concerned about whether the weather would play nice which is why we ended up staying for 2 nights at the bottom of the mountain in Shinano Omachi so that we could have some options. When we didn’t need to use our back up day we caught the earlier bus to Nagano and had enough time to visit the main temple in Nagano (which was fabulous by the way) before picking up our hire car. It wasn’t planned but ended up being a great option to do some more exploration which I had not planned. am soooo thankful I chanced upon your blog post. Am still a little uncertain. 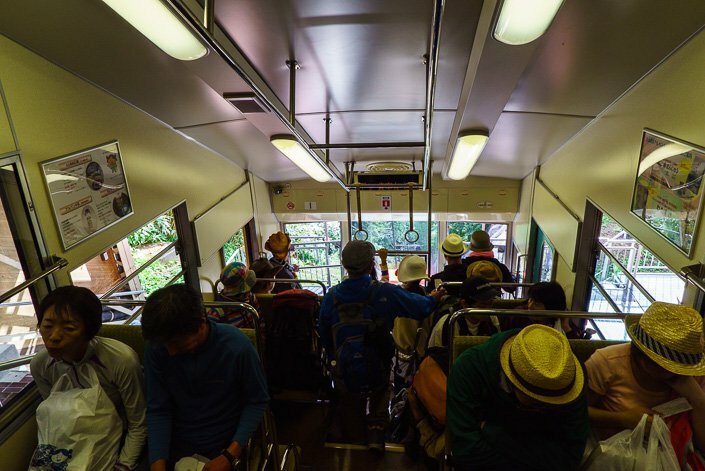 Does the alpine option ticket allow me to take the different modes of transport (cable car, bus, trains) from Nagano to Toyama? TIA! 🙂 Keep up the geat posts by the way! 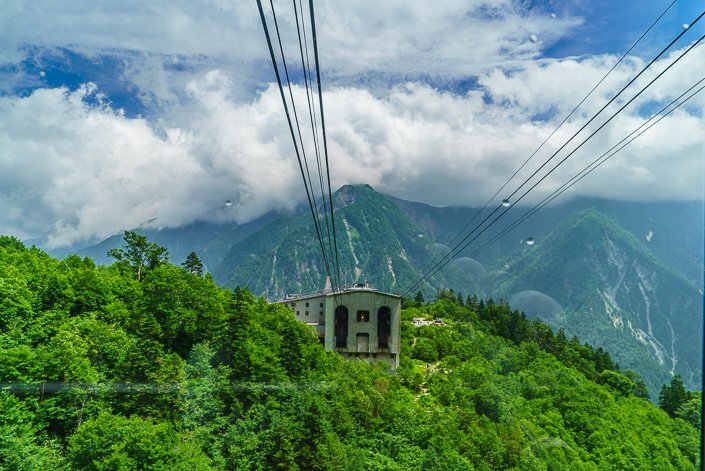 Yes, the Alpine Route ticket allows you use all the different transportations on the Alpine Route (bus cable car, train and so on are included in the ticket). The ticket is from Ogizawa to Toyama. So you would have to take the train from Nagano to Ogizawa first, which is not inlcuded in the Alpine Route ticket. We were a bit concerned too about not being able to reach the baggage office at Toyama train station before it closed at 6 p.m. But we managed to get there before closing time. You should probably contact one of these hotels in advanced, and ask if they have this service available and order it before you book a room there. Have a great trip doing the Japan Alpine Route! You will love it! Hi Maria! I love your posts! Is it required to leave your bags before doing the Alpine Route? I assume that the starting point is different from the ending point. 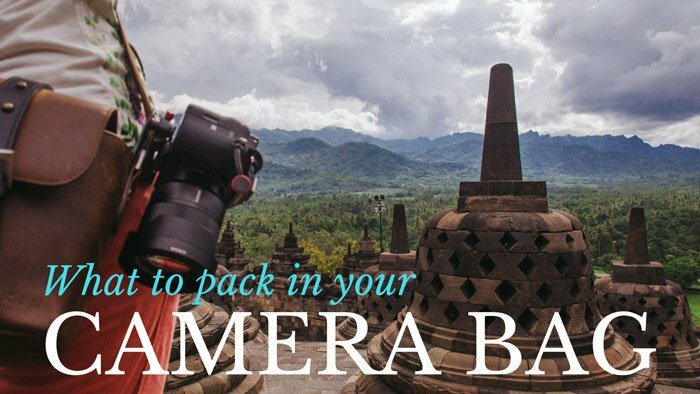 No, it is not required to leave your bags, it is just a service that they provide so that you don`t have to carry big bags on this whole trip. But you can bring your bag/ backpack along with you if you want. Some of these transportations can be crowded, however, and there are some walking so big bags are not so convenient. The starting point (Shinano-Omachi) is different from the ending point (Toyama). Awww, thank you! 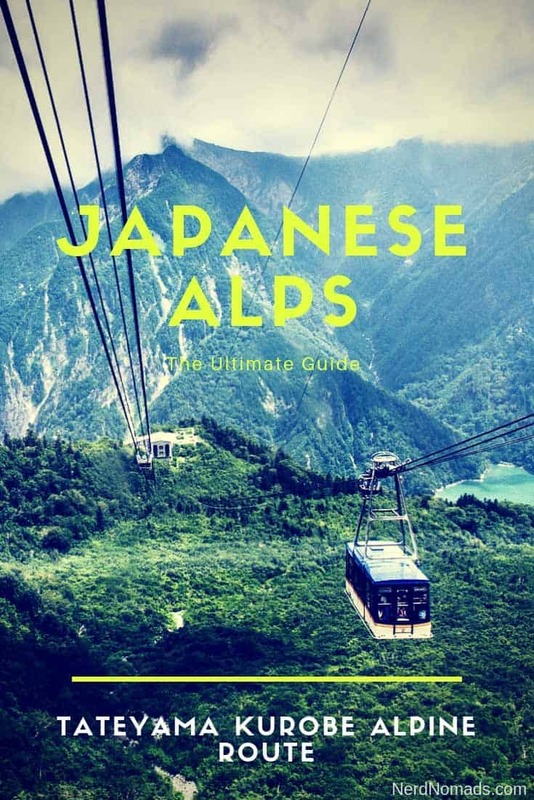 So happy that our blog could clarify things and help you plan your trip to the Japanese alps. Have an awesome trip into the mountains and enjoy the fresh air! You will love it! Just remember to bring some warm clothes, as it gets pretty chilly up there. Wonderful post. I referred your blog and visited this route in April. I visited on the day, Snow corridor was opened. And even witnessed the opening ceremony by state officials. I totally loved walking on the snow fields of tengudiera and snow corridors of Murodo. Thanks, Ankur! Wow, the snow corridor looks awesome! Very cool! Would love to go back to this part of Japan and do some skiing. Hello! Love your 2 week itinerary. I leave with my bf on Friday for our own 2 week adventure. 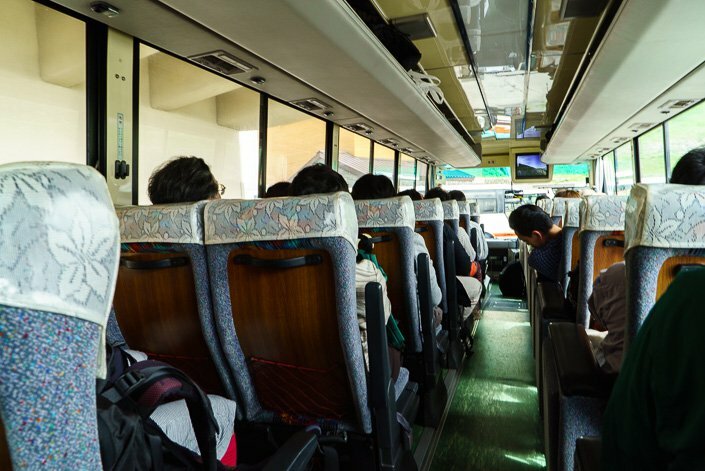 For the Alpine route, do you recommend reserving buses ahead of time? Thank you so much! Wow, lucky you who are heading to Japan on a two-week trip! You will love this beautiful country! We did not reserve buses for the Alpine route and had no problem getting tickets. None of the buses were full. Have a great trip to Japan! Happy travels! Thanks Maria for your vivid description. Seeking your advice and opinion. 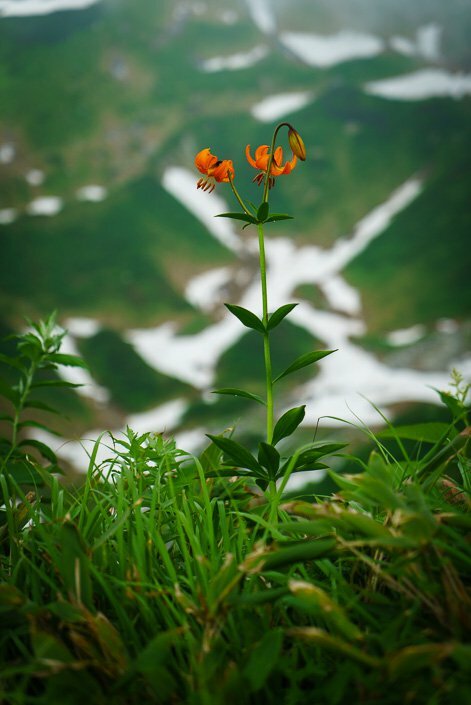 We are desiring to take our Mother to the Alpine Route – Ogizawa to Tateyama. The difficult area is the 220 steps to the Obs. Point. Can that be bypassed. She will manage to cross the dam, walking slowly. Are there any other areas in the course which require attention. Our travel time being April 2017 (after the 16th). Thanks. 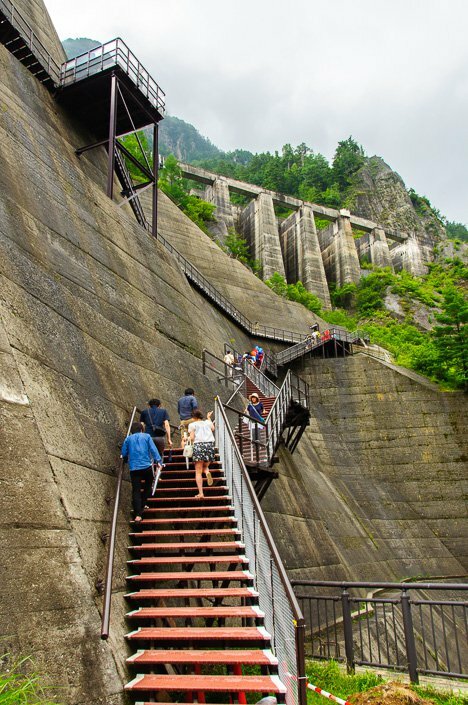 As for the Kurobe Dam, you don`t have to go up the 220 steps to the observation deck, this is just an extra walk for those who want to get higher up to take photos. You can just stay down at the trolley-bus station, and walk over the dam on the flat pathway (no stairs) till the next train station. This is a short walk. You will still have beautiful views of the dam and its surroundings. No need to go up to the Observation Deck. 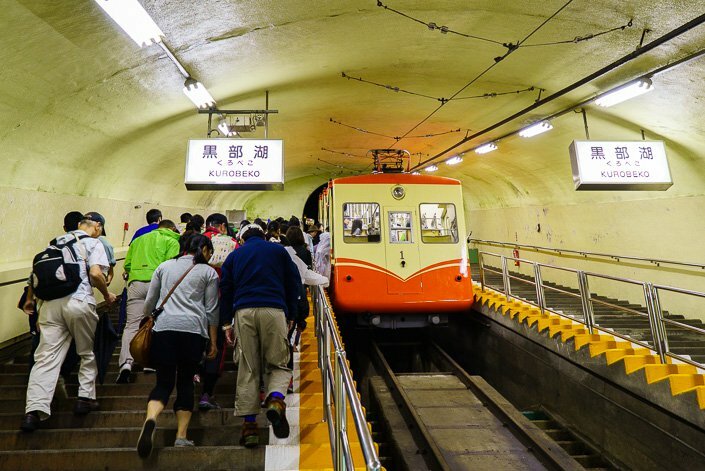 The only places you have to walk a few stairs are at the train and cable car stations, but there are not many steps. So I would say that your mother will manage to do this trip perfectly. You don`t have to walk much if you don`t want to or manage. You will see lots of beautiful nature from each transportation (train, bus and cable cars) and can do short walks just around each station on flat terrain. I`m sure you and your mother will have a great trip into the Japanese Alps, it is truly a spectacular trip with amazing views. You will love it! Thank you for your very informative ”Blog” ( better than that ). I have emailed you before and got a answer, this when I first started thinking/planning ( no did not have a plan till I read your Blog) Then I used your Idea’s to plan our trip. So its 4 night Tokyo, 3 days. Nikko, 1 night, 1 night Nagano. 1 night Osaka. .fly from there back to Thailand. T would have been lost without your information. Just re read your Alpine route again. I was not able to get that info anywhere else. I could not go Matsumoto etc .All hotels are Full?? this seems crazy for 11 months in advance? 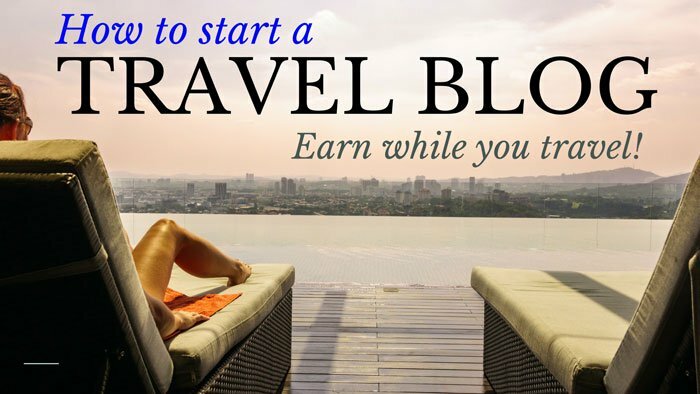 So unable to get in your recommended Hotels sob sob ( they look good) I think too many are reading and booking from your “Blog”. PS may still come back for other fill in info. Thank you so much! Glad we could be of help and that our blog is an inspiration and provides you with useful information when planning your Japan trip. Hmm, very strange that all hotels in Japan are full! I think that it is actually too early to book hotels now. That they have not opened up for booking for October 2017 yet, that`s why you get “not available”. On TripAdvisor.com this it the case at least, I can`t find any hotels for October 2017 because it is too early (the dates for October 2017 are all greyed out). So you should try again later, maybe after New Year. I`m sure you will find some hotels in Japan later on. Don`t hesitate to ask us any further questions. Happy travels! Matsumoto to Shinano-Omachi makes sense to me, but how to I get back from your end spot back to Matsumoto. My issue is that my husband and I have two large check bags and I wanted to do this leg of the trip but I also wanted to start my day early. How did you guys fit the hotel check in with this leg of the trip? Thank you so much for posting, I love your articles 🙂 They inspire me! I’ve traveled a lot over the years and your writing keeps me going, its so nice to read about your adventures. 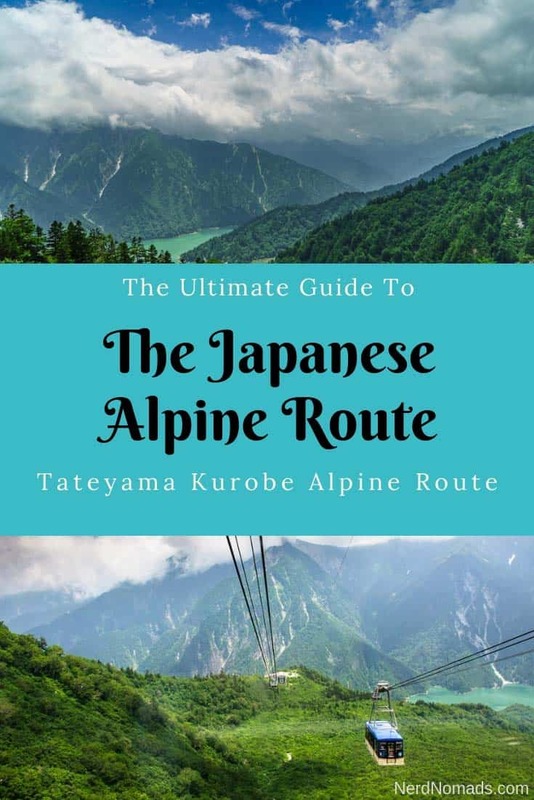 I’ve been researching the Tateyama-Kurobe alpine pass for days now and this is the most helpful information that I have come across! You have answered all my questions and more. Can’t wait to breath that mountain air! Thank you so much for your nice comment! It made my day! 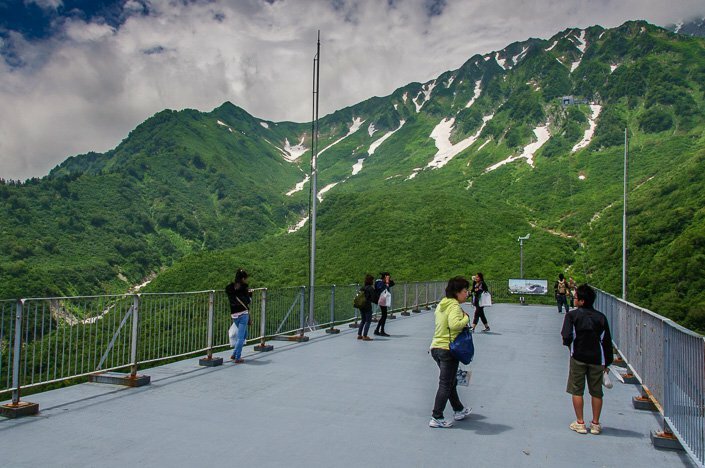 Lucky you who are going on the Tateyama-Kurobe Alpine Route! It is such a lovely trip, you will love it. Have an amazing trip in the alps! The hot spring, which is Japans highest hot spring at 2450 m, is located at the Mukurigaike Inn, next to the Mikurigaike Pound. This is a nice walk from the Murodo stop which is the highest stop on the Alpine Route. This part of the route opens 15th of April, so you will not be able to reach this tomorrow, unfortunately. Have a nice time on the Alpine Route! So glad we did it. Your itinary was so accurate. Thank you. Amazing views. You think you had just seen the best one and you go up a bit higher and it gets better and better. Our weather was completely different, bright blue skies all day but so much snow. Still lots to see and experience. Wow, sounds like you had the best weather and a great trip! So happy to hear that you found our description and tips on the Alpine Route useful! Thank you so much for commenting back and telling us about your trip! Really appreciate it! Thank you sooooo much, Meeta! Really happy to hear that our article could be of help to you when planning your Alpine Route trip! Thanks for commenting! Have an amazing Alpine Route trip (if you have not been yet)!! So glad I came across your website. Finally found an itinenary of the places we wanted to visit in October. 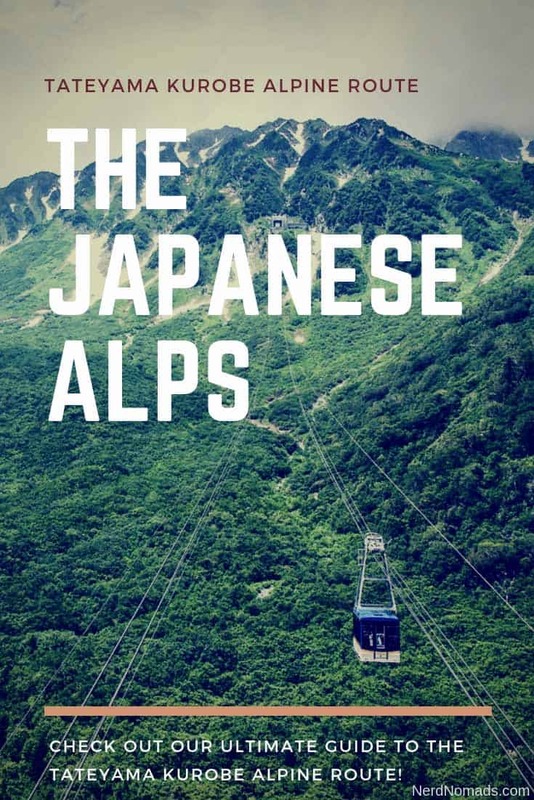 The Japan Alps…that would be an adventure for us! We’re in our 50s and 60s. I think we’ll do some hiking training before we go. My hubby thought I was crazy when I said 9 hours trip. Then he was excited when I said not hiking for 9 hours. Hiking just to observation decks and to the Pond… rest is bus, cable cars, etc… Something different. So cool that you are going to Japan and have found some inspiration from our itinerary! The Alpine Route is an amazing trip, and the good thing is that everyone can do it! It is as you say not much walking involved unless you really want to. Bring some warm wind-proof clothes as it can be a bit chilly up in the mountains. A beanie, scarf, and gloves can be nice too, especially in October. Have a great trip to Japan, and enjoy the Alpine Route! I`m sure you will love it! The autumn colors are beautiful in October. I love the Nomad Nerds and their info. I have been following in your footsteps all through Japan and so many of your comments inspired my destinations. I need more than time in the amazing country. Thank you. 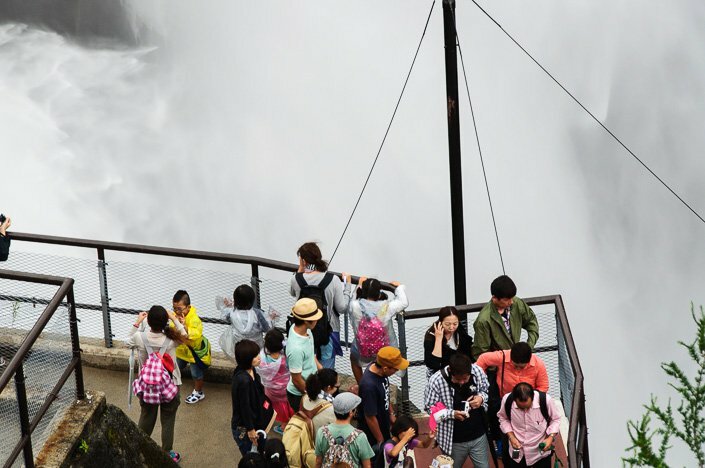 So cool that we could inspire you to visit these places in Japan! Japan is as you say an amazing country! Hope to be back one day. Thanks again for commenting! Happy travels! Hi Maria, I’m going to Japan in a few weeks and am really looking forward to the Alpine route. I was wondering how tough the walk was. My boyfriend has breathing issues so we can’t do any hikes that are steep or involve a lot of stairs. Do you have any recommendations for us? Best wishes and thanks for sharing your experiences! The Alpine route is very easy and does not involve much walking or climbing. 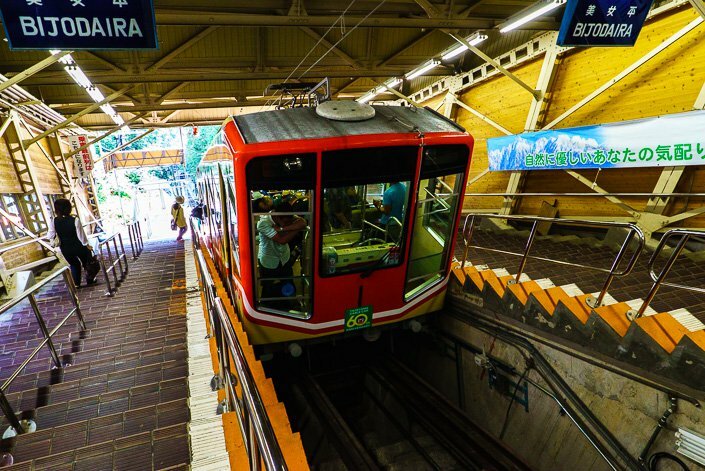 You basically take different sorts of transport up and down the mountain; cable car, trains, trams, bus and so on. So I think your boyfriend will be able to do this route just fine. We did some walking because we wanted to, but it is not mandatory. You can turn around any time and just go back down again if it gets too much for your boyfriend. Have a great trip to Japan and enjoy the Alpine route! Hi Maria, this route sounds like an adventure! Do you have any recommendations on how to do this route or a similar experience in the region to see the mountains by car and/or longer hike? Thank you! 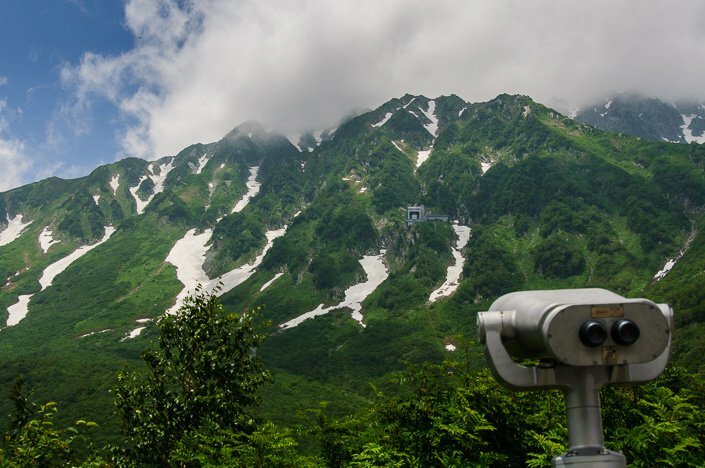 The Tateyama Kurobe Alpine Route is amazing! 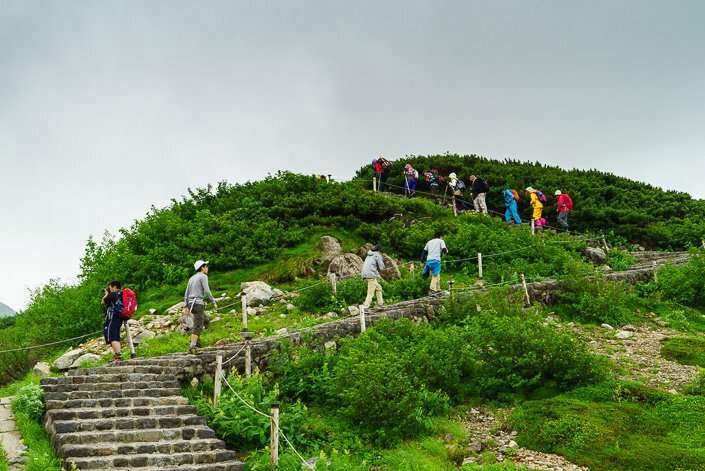 Have a great hiking trip in the Japanese Alps! Wow, awesome!! Sounds like you had a great day! We did not have time to take Onsen, unfortunately, sounds lovely! Will consider staying at the ryokan if we do this alpine round trip again. Have a great time in Kyoto! Yes my concern is too if there are any delays re picking up bags but if can be dropped ay a hotel that eases my worry. Also wanted to thank you for writing such informative replys to everyone. 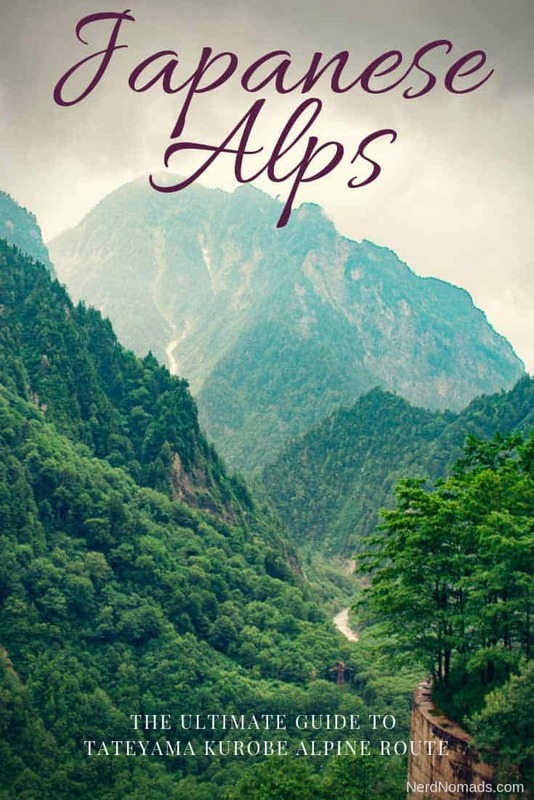 Thanks Maria for this very helpful and detailed narrative of your trip to the Alpine Route. This gives me great ideas as I plan a visit to this place soon! Thank you so much! So glad to hear that our article about the Alpine Route could be of inspiration and help to you! This part of Japan is breathtaking and doing this Alpine Route was my favorite part of our Japan trip. You have something to look forward to! I´m sure you will love it too! Hi maria, how many JR pass(s) did you buy? I mean, can two travelers use the same pass or we should purchase two passes ? I just wanted to say thank you for your post on the Alpine route. I just finished it a couple of days ago and all of your comments are spot on. If you follow it exactly the way you described you will have an awesome time! Can’t say thank you enough for your post. But what happen to the ice wall? See no photo of you posting it. Thought that part is the star of the whole trip. Lucky you who are doing the Alpine Route next month! It is a fantastic trip with amazing views! We did this route in July, and the snow and ice wall had melted. The Alpine Route is closed during winter, between 1st of December and mid-April. The ice/ snow wall is only there when the route opens in mid-April. Then it melts during April/ May and is completely gone in June. So I`m afraid that you will not see the ice/snow wall in November either. Have a great trip to Japan and enjoy the Alpine Route!! Conclusion: We spent the exact same amount of time on the transport and on walking/ waiting for transport. Baggage Delivery Service: They provide a baggage delivery service, so you don`t have to carry your luggage on the trip. We handed in our luggage at Shinano-Omachi (the office is just outside the train station, take a right when you get out. Drop-off is between 8:00 – 11:10), and picked up our bags at Toyama Train Station (the office is actually on the train platform. Delivery time is between 15:00 – 18:00). We paid 1540 JPY (15 us$) for one bag. Where did we stay: Richmond Hotel in Matsumoto the night before we did the Alpine Route. Richmond Hotel is nice and very clean, with great location! It is located right in the middle of the center of Matsumoto with walking distance to everything. The rooms are a bit small, but that`s normal in Japan. Hotel Trusty in Kanazawa after we did the Alpine Route. The hotel was fantastic! Very good location in the middle of everything, and brand new. We highly recommend it! Probably the best hotel we stayed at in Japan!